Cheri Zilla and her daughter, Michaela ZIlla, stand outside the Capitol building during the third annual Women’s March in Charleston on Saturday. 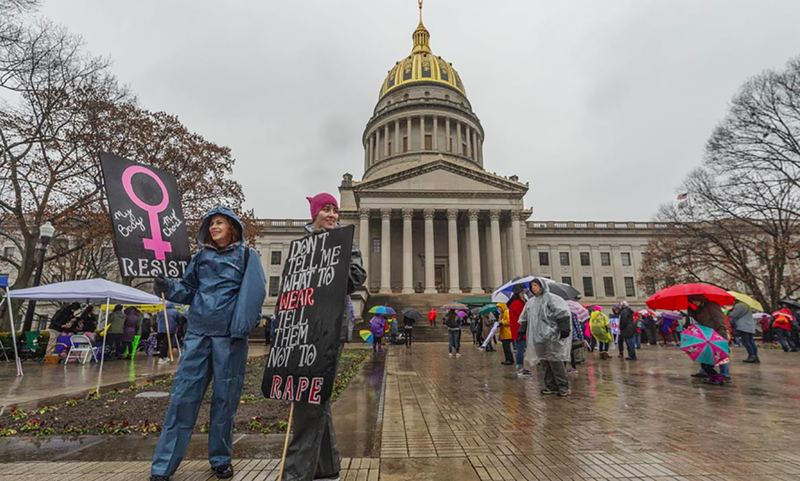 CHARLESTON, W.Va. — As rain poured down on Saturday afternoon, Patricia Skeen stood facing the Capitol steps, reflecting on the last 50 years she’s spent as a feminist. 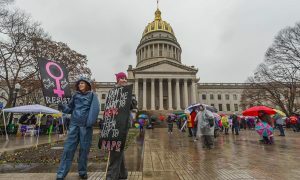 Skeen was one of about 100 people who gathered at the Capitol at noon Saturday for the third annual Women’s March event, this year referred to as “Women’s Wave.” Organized by the West Virginia chapter of the National Women’s March, the first of which took place a day after President Donald Trump’s inauguration in 2017, this year’s rally saw a handful of performers and activists take to a stage on the Capitol steps with songs, poems and speeches centered on social justice.